The U.S. 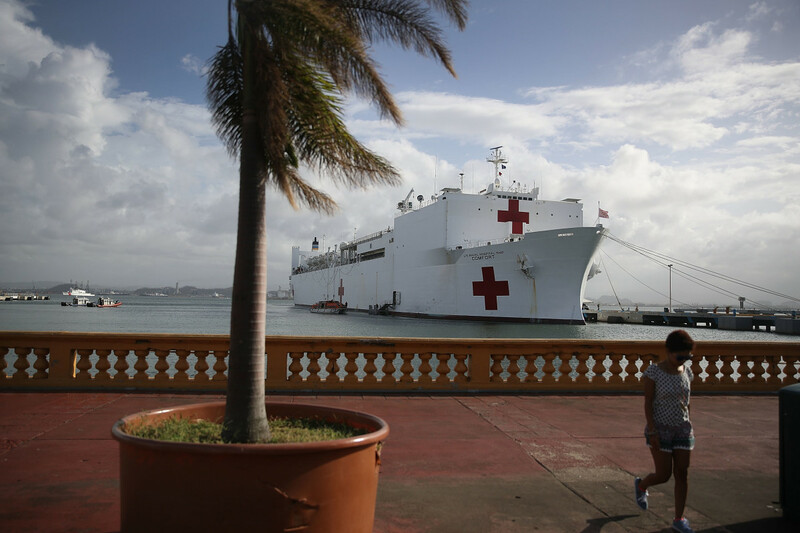 Naval Hospital Ship Comfort in the Port of San Juan, arriving on October 3rd, 2017, after Hurricane Maria swept through the island of Puerto Rico. Whose fault is the crisis in Puerto Rico? A lot of people are inclined to blame President Donald Trump: Right after Hurricane Maria made landfall, instead of maximizing the federal resources directed to the island, Trump spent the weekend golfing and tweeting about the National Football League. He later launched a sexist and racist Twitter tirade against the mayor of San Juan, Carmen Yulín Cruz, and against the people of Puerto Rico more generally. 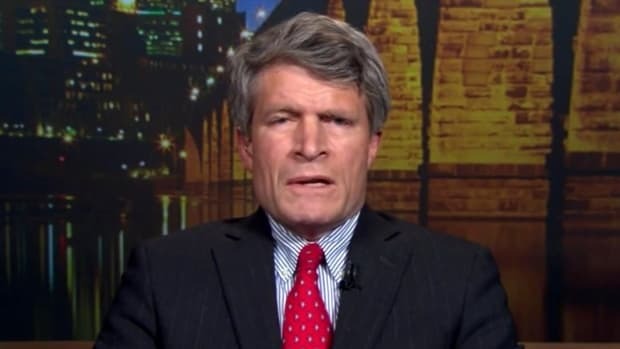 Still, no matter how despicable Trump might appear, historian Jacob Remes warns that we can&apos;t limit our assessment to a single person&apos;s incompetence. Rather, we&apos;ve got to look at a long history of colonialism that has placed Puerto Rico in such a precarious position. Trump could resign tomorrow, and Puerto Rico, along with so many other places, would still be subject to structural forces that magnify the consequences of the disasters yet to come. Remes, a clinical assistant professor of history at New York University&apos;s Gallatin School of Individualized Study, applies the tools of the historian to the study of disasters and the people who respond to them. He&apos;s part of a field known as "critical disaster studies," in which scholars from the humanities and interpretive social sciences look at the human factors linked to disaster. Maria is, of course, the third major storm to strike the United States and other parts of the Caribbean so far this hurricane season. In this hot new world, we&apos;re likely to see more and more episodes like this, so Remes&apos; insights into how human systems interact with the natural world become more urgent every day. Pacific Standard chatted with Remes in a series of emails. 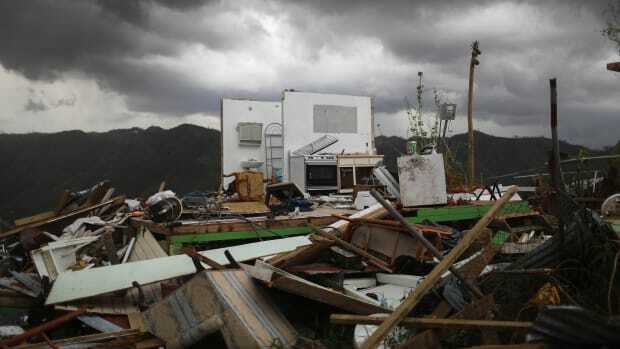 What&apos;s the central idea behind disaster studies as a field? At the heart [of the field] is a saying that became common in the 1970s: There&apos;s no such thing as a natural disaster. There are hazards, some of which are natural (earthquakes, tornadoes, river floods) and some of which aren&apos;t (industrial fires, pollution, dam collapses, nuclear bombings). But what makes them a disaster is how they intersect with individual and community vulnerability, which is socially constructed. Once we understand this fundamental paradigm, we can understand how disasters are political events with political causes and solutions, not just (or even not primarily) technical failures. How does the field break down? Who does what kind of work? There are two (or maybe three) versions of disaster studies, all of which are important. There are entire centers and programs where people study how people and institutions respond to disaster and how we can do it better. They help us understand, for instance, how most individuals and groups act in prosocial, rather than antisocial, ways in disasters. For instance, most people who are rescued from collapsed buildings after earthquakes are dug out by their friends and neighbors, and as should now be clear, there&apos;s very little non-survival looting after disasters. Related is a series of science and engineering fields: seismology and meteorology, for instance, but also structural engineers who work to make sure our buildings burn more slowly in fires or don&apos;t fall down in earthquakes. I&apos;m part of what I call "critical disaster studies." We tend to be historians, anthropologists, geographers, and some sociologists. We are trying to use disaster as a way to think about society more generally. How have people in different cultures and at different times imagined disasters? How have people prepared for disaster? How have scholars shaped our experiences and understandings of disasters? What does the critical disaster paradigm reveal about the crisis in Puerto Rico after Hurricane Maria? I should say that I&apos;m not an expert on Puerto Rico. One of the things that I really believe is that local knowledge matters. The experts on the experience of Puerto Rico in Maria are Puerto Ricans who are living through it, and we shouldn&apos;t let so-called disaster experts—including me—pretend that there&apos;s some sort of universal disaster experience. Perhaps the strongest universal, though, is that local conditions, especially local political conditions, really matter. Disasters usually replicate whatever cleavages, inequalities, exclusions existed in a society before. That&apos;s because people who are excluded are made more vulnerable—for instance, poor people can only afford to live in less safe housing, or women are forced to stay with abusive partners for economic or cultural reasons, or people with disabilities are prevented from accessing services and infrastructure that would help them survive—in ordinary life, before (and after) the disaster. But it&apos;s also because disaster response is political, and so it replicates political distinctions. 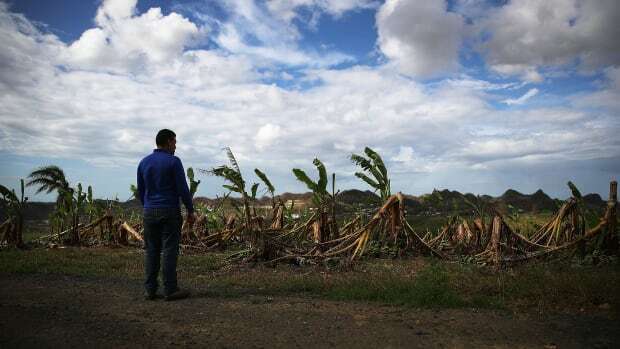 So to think about Puerto Rico, we can see how imperialism (which of course is wrapped up in white supremacy and capitalism) shapes both Puerto Ricans&apos; vulnerability to the hurricane hazard and also the U.S. mainland&apos;s response to it. 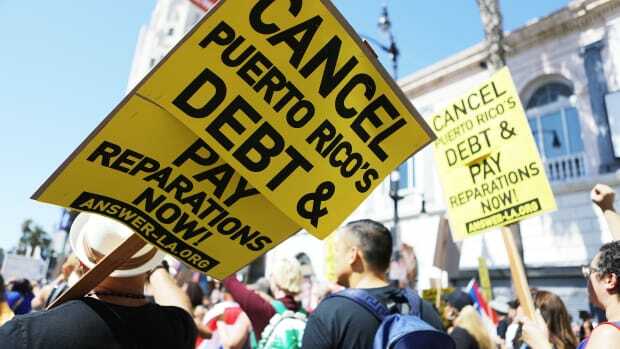 Puerto Rico has been suffering under the Orwellian-named PROMESA Act, which essentially created a federally appointed fiscal control board that ruled the island for the benefit of mainland bondholders, rather than for its citizens. This has been hollowing out the Puerto Rican state for several years and has made Puerto Rico less able to respond to things like hurricanes. And, of course, after the disaster, we can see how Puerto Ricans&apos; second-class citizenship—yes, U.S. citizens, but without representation in Congress or a vote for president—means they do not get full access to the American state when it comes to disaster relief. So where does that leave Trump? Recognizing how these are broad and long-lasting systems doesn&apos;t absolve the current leaders. Donald Trump is a terrible president not just because he has terrible politics—which he does—but because he just isn&apos;t very good at the things that constitute a president&apos;s job. Because he&apos;s not a very good manager, he hasn&apos;t done the work that a president should do in a disaster of making sure resources go where they should and signaling to the bureaucracy that a quick and competent response is necessary. And he&apos;s also bad at the ceremonial parts of the job, which are actually important in a disaster because they make people feel cared about. How did you personally get involved in "disaster" as a field of study? When Katrina happened, I was in a seminar on North American urban history taught by Sarah Deutsch. [She] said that we should expect that all those horrible stories, of both looting and vigilantism, would turn out to be mythical. And she was right. For her class, I did a historiographical essay of how historians had used disaster [which] grew into my dissertation and eventually my book [Disaster Citizenship: Survivors, Solidarity, and Power in the Progressive Era]. My book is about how working-class people responded to two disasters in the early 20th century in the U.S.-Canada borderlands: a conflagration in Salem, Massachusetts, that started in a patent-leather factory and spread to make 18,000 people homeless or jobless, and a ship explosion in Halifax, Nova Scotia, that killed just under 2,000 people and flatted about a quarter of the city. I write about what I call "disaster citizenship": the way that people negotiated with the state in the aftermath of these disasters about what the relationship would be between state and citizen. So Katrina was your entry point into this field. Has anything gotten better since then? If you had asked me this two weeks ago, I would have said that I thought there was a lot of progress. With some notable exceptions, the response to Irma and Harvey showed some distinct lessons from the past 12 years since Katrina: much less attention to keeping order and preventing looting, much more attention to the way that development choices in Houston shaped the flood there, and attention to low-wage workers and others who were most affected by the floods. All that said, I think the response to Maria shows just how far we have to go. As someone who got into this field because of Katrina, it&apos;s profoundly upsetting to feel like the same thing is happening. The way the federal government ignored a crisis for a week, the way the local and "state" governments (state in scare quotes because of course Puerto Rico isn&apos;t one) are systematically made unable to respond. All of it seems depressingly familiar. After Katrina, the neoliberals had a field day in New Orleans, using rebuilding as an excuse to privatize the entire public school system and much of public housing. 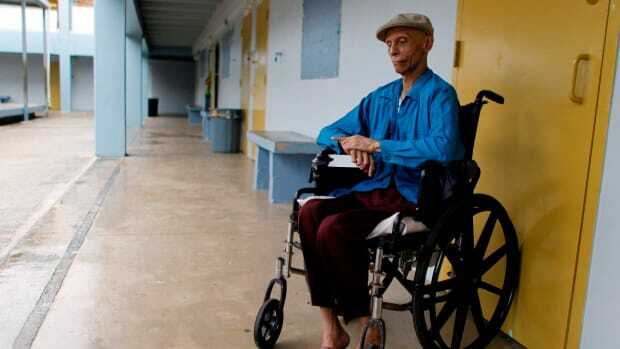 In Puerto Rico, the neoliberal agenda of privatization was well underway already thanks to the fiscal control board. I think we&apos;ll have to see whether the Maria rebuilding accelerates this project or gives Puerto Ricans more power to fight it. Neither are naturally going to happen; it will be a fight either way, and I hope the good side wins. If we&apos;re in an era of perpetual intense weather events, what, from the perspective of critical disaster studies, needs to change? Are there affirmative steps we can take, or is it more just recognizing that disasters reveal and intensify ongoing inequities? One of the crucial lessons I take from studying disaster is that the very things that make communities more resilient to disaster—egalitarianism, inclusivity, high social capital, dense social networks, democratic political cultures—are also the things that we want in a community anyway. One of the hazards we know are already increasing thanks to climate change is heat waves. People who, on a personal level, are more vulnerable to heat waves because of the intersection of poverty, disability, age, and social isolation, are less likely to die from heat waves when they are in a bustling neighborhood with low crime, lots of shops, and civil society institutions. And as it happens, those are the neighborhoods we all want to live in, even when there&apos;s not a heat wave. There are lots of ways to build communities and societies that are more equal, more inclusive, and have more social capital, denser social networks, and more democratic political cultures, but for my money the best way to do this is to organize unions. An organized working class is a more resilient working class.